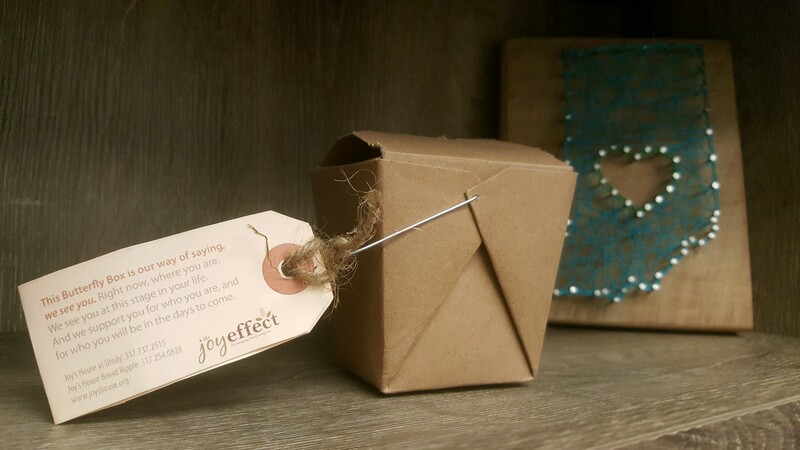 The Joy Effect is a community of women dedicated to sharing resources, energy, and spirit to provide acts of kindness and support for family caregivers. In February 2013, Joy’s House introduced a women’s community group dedicated to helping caregivers in various ways. This group is able to pool their resources to really make an impact in the lives of 2-3 caregivers each year. In 2017, a featured project of The Joy Effect was the creation of over 50 Butterfly Boxes. Filled with candies, origami, and other keepsakes, these boxes were meant to let family caregivers know that they are seen, just as they are, and they are appreciated.